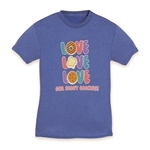 Daisy apparel and accessories to finish off any Daisy's wardrobe. Official Daisy Vest worn to display official pins, insignia and earned petals Official Daisy Tunic worn to display official pins, insignia and earned petals Smart polo with side slits at hem. Slightly shaped. Cotton/polyester pique knit. Imported. 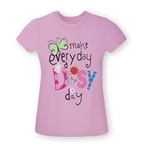 Daisies, this colorful pink T-shirt is for you! With three lovely flowers and "make every day a Daisy day" screenprint. Traditional fit. Cotton/polyester jersey knit. Made in USA of Imported fabric. Go-Getter. Innovator. Risk-Taker. Leader. 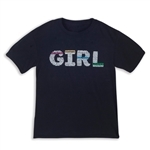 Show off your Girl Scout G.I.R.L. pride! Pleasingly soft pants with a marvelous sprinkling of Daisy favorites: hearts, butterflies, ladybugs and stars. Pull-on with elasticized waist. Cotton/spandex knit. Made in USA of Imported fabric.